While I had big hopes to spend some quality time with my camera during my vacation last week, a whole week of crumby weather coupled with a nasty cold kept me indoors most of the time. 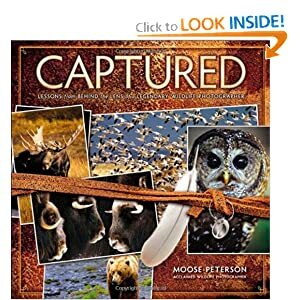 In addition to catching up on the “honey-do” list, I was able to finish reading Moose Peterson’s “Captured” which I started a few months ago and added some nice new blogs to my RSS feeds. One of the big takeaways from Moose’s book is the need to understand and appreciate the behaviors and biology of your wildlife subjects. For anyone that’s spent any time at all in the field this is something you’ve already come to appreciate simply through observation. For example, if you’re trying to capture an eagle as it launches itself from a tree branch, you may be interested to know that a high percentage of the time it will lift it’s tail and “relieve” itself just before taking flight. A nice cue to be aware of and one that you’d eventually pick up on through personal observation. Personal observation can be augmented by the observations of others as well, and that’s what I had in mind when I started scouring the web for new blogs to add to my blog roll. If you enjoy bird photography, do yourself a favor and take a look at “Feathered Photography”. Ron Dudley is a retired high school biology and zoology teacher living in northern Utah and sharing his love for photography. In addition to some great images, Ron also is kind enough to share some of his personal observations on the behaviors and biology of the subjects he photographs. You’ll also find some great tips to help improve your own images. What other online resources to you find helpful to your wildlife photography?